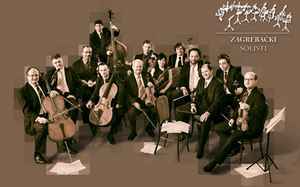 Founded in 1953 as an ensemble of the Zagreb Radio and Television under the artistic leadership of the Italian cellist and conductor Antonio Janigro. 'The Zagreb Soloists' have performed without a conductor since 1968, led only by a concertmaster. From March 2006. concertmaster and artistic leader is Borivoj Martinić-Jerčić.